Both IOCB Prague and CEITEC MU are top institutes in the respective fields and wish to share and develop opportunities to support Ph.D. students and young scientists. 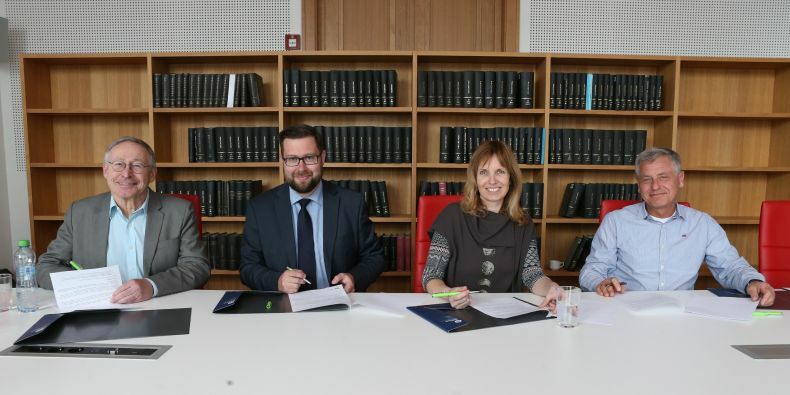 A Memorandum on Strategic Partnership and Collaboration has been signed today in Prague by the directors of CEITEC MU and the Institute of Organic Chemistry and Biochemistry of the CAS (IOCB Prague), two leading Czech research institutes. The management of both institutes intend to create conditions for a closer collaboration at the level of research groups and their respective projects. They also agreed to extend efforts to improve research conditions beyond their own institutions and aim to influence research policy in the Czech Republic. “Our institutes are in a fair way towards the European standard, but there is always space for improvement. We want to share our experience in the area of research institute management, cooperate in establishing good practices and jointly seek specific solutions, both in the area of science communication, international relations and collaboration with the application sector as well as in the area of research infrastructure management, HR policy and grant support policy,” explains Zdeněk Hostomský, the director of IOCB Prague. “Each of our institutes excels in some of the those areas and the research focus of both institutes is complementary, too. Through joint efforts, we want to become competitive and particularly attractive for scientists in Europe-wide context,” Hostomský adds. Both IOCB Prague and CEITEC MU are top institutes in the respective fields and wish to share and develop opportunities to support Ph.D. students and young scientists. They want to create conditions for informal encounters of group leaders and plan to boost mutual hosting. 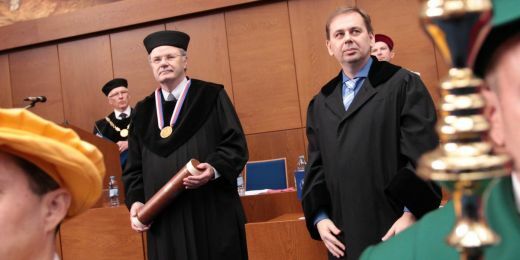 “In addition to the actual collaboration for which we can see significant potential, we also want to focus, for example, on exchange programs for our administrative staff, since the establishment of high-quality background for scientists and researchers constitutes a necessary precondition for the scientific excellence that is being so frequently called for,” says Jiří Nantl, the director of CEITEC MU. He is also planning cooperation in the area of HR policy that is still highly neglected in the scientific environment in the Czech Republic. One of the first tangible steps within the newly established collaboration will be the visit and excursion of CEITEC Ph.D. students to IOCB Prague and a good practice workshop for the administrative staff. 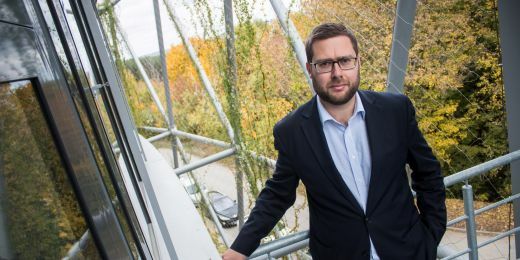 “We want to increase the efficiency of our processes in order to minimize the workload of scientists and we definitely see a space for mutual sharing of experience in this respect,” Jiří Nantl explains.